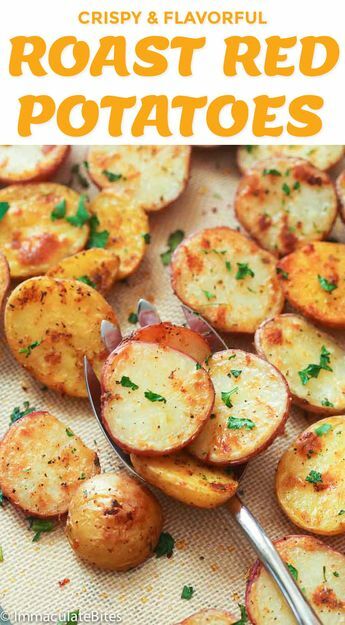 Thanksgiving side dishes don’t stop at the sweet potatoes. 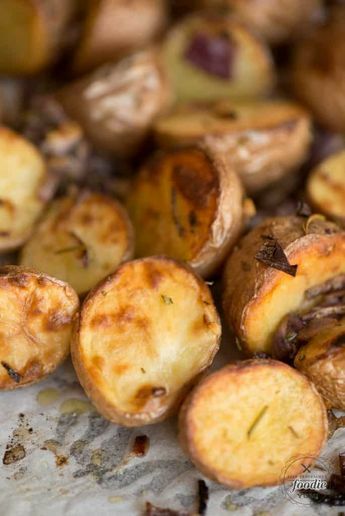 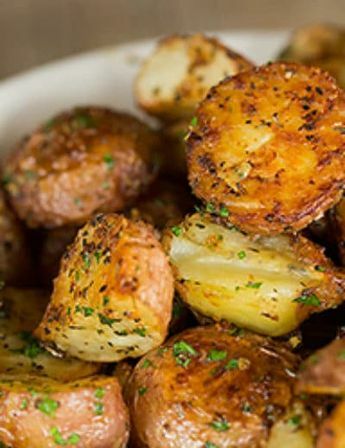 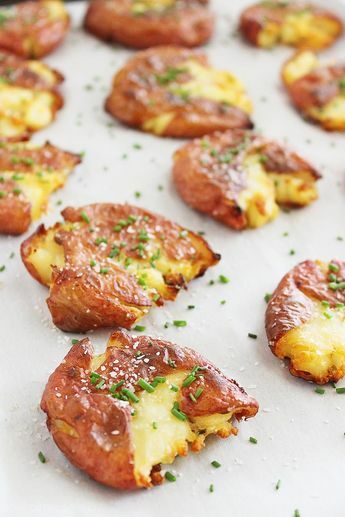 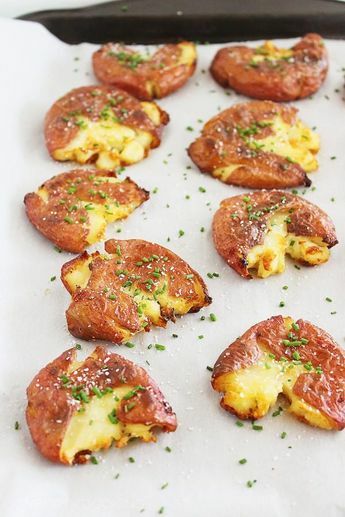 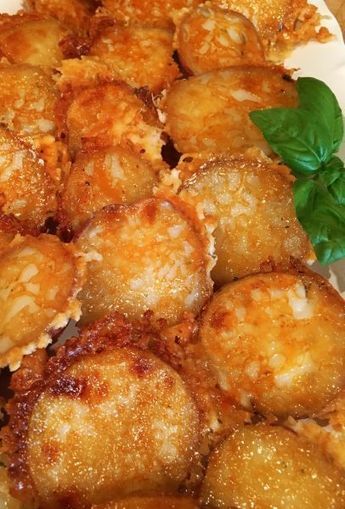 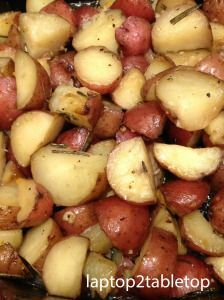 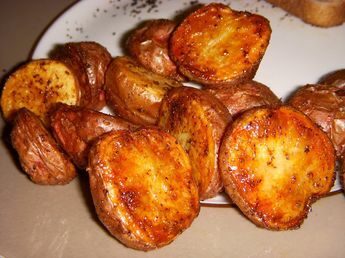 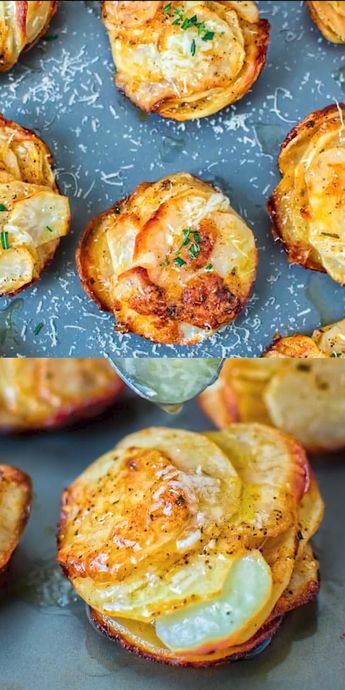 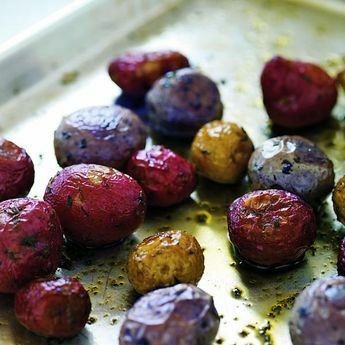 oven roasted baby red potatoes- the perfect side dish! 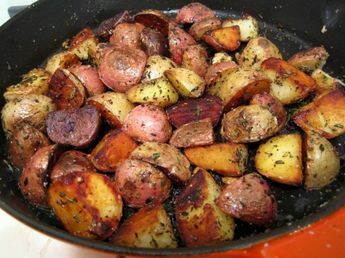 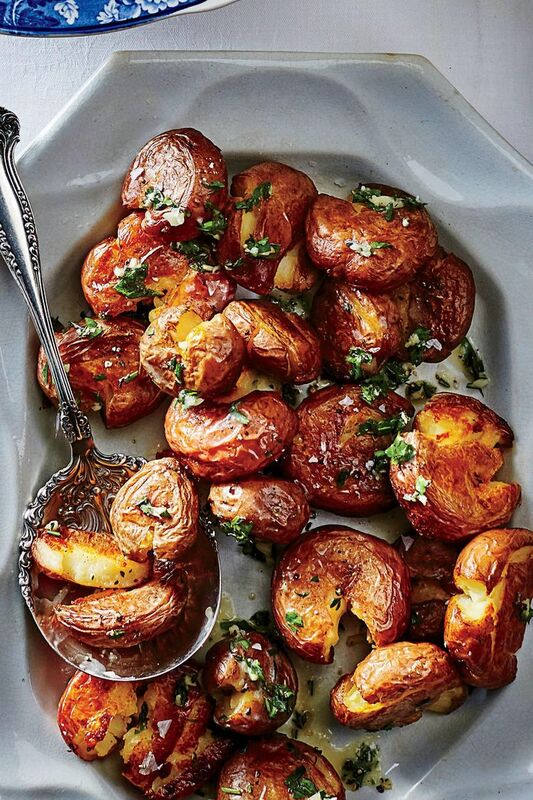 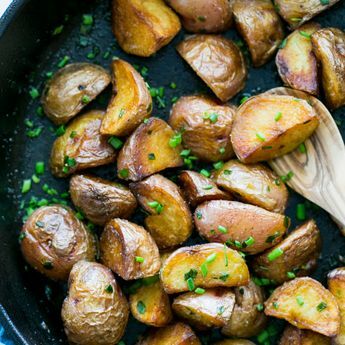 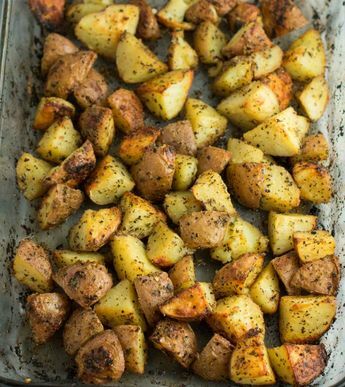 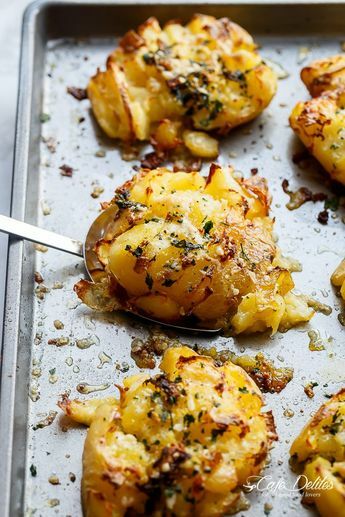 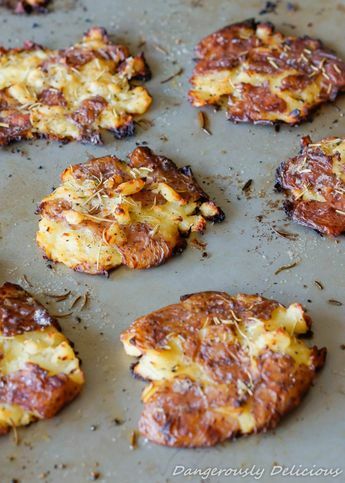 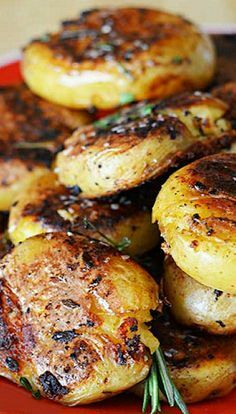 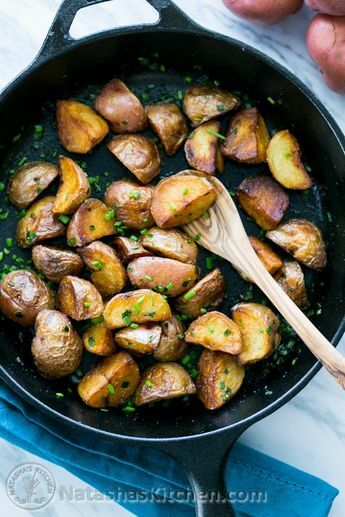 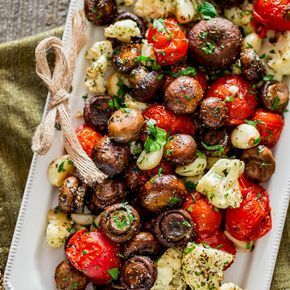 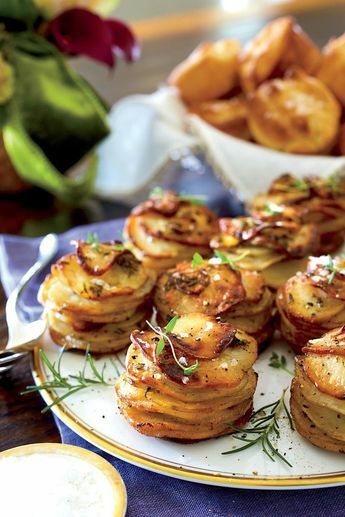 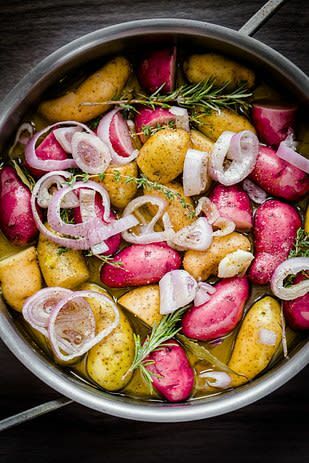 Toss the potatoes in the mixture of the butter, thyme, salt and pepper, arrange in a single layer on a metal baking pan and bake in a preheated 500F/260C over on the top-middle rack until golden brown, about 10-15 minutes, per side. 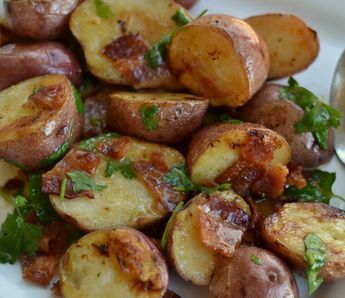 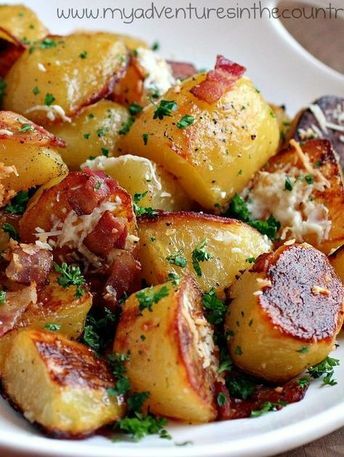 Crispy and Creamy Oven Roasted Potatoes with Bacon, Garlic and Parmesan.